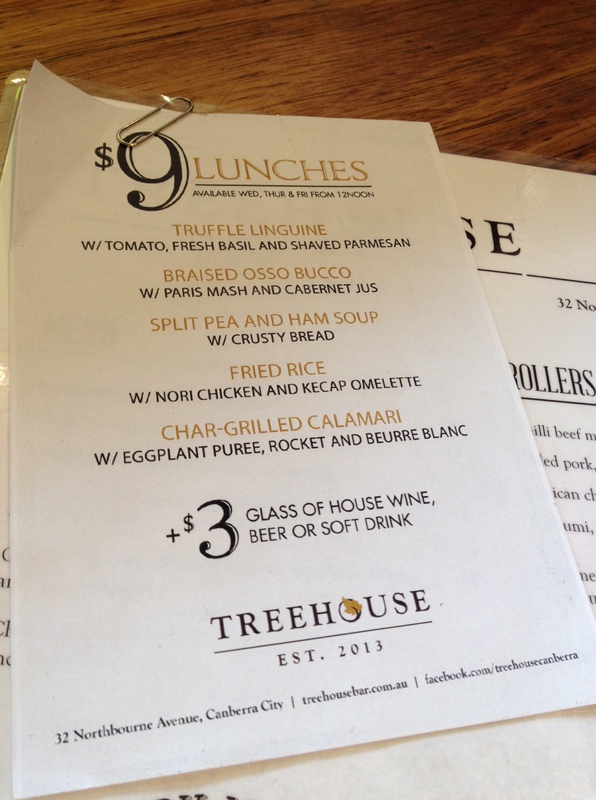 The Treehouse on Northbourne Avenue (near London Circuit in the Sydney Building) is better known as a bar than one of Canberra’s hidden affordable eats. 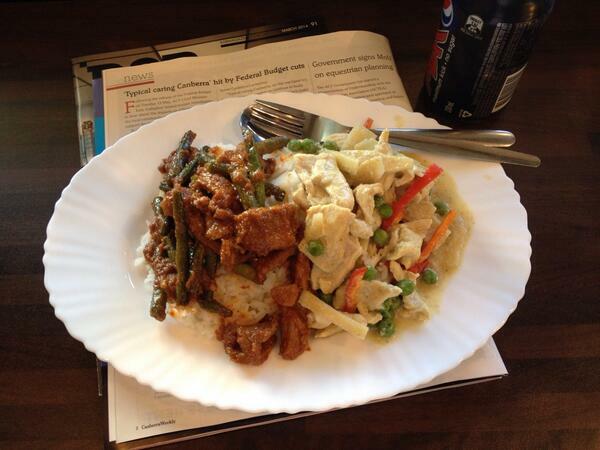 The food here is also a good example of why I prefer to say “affordable eats” rather than “cheap eats”. 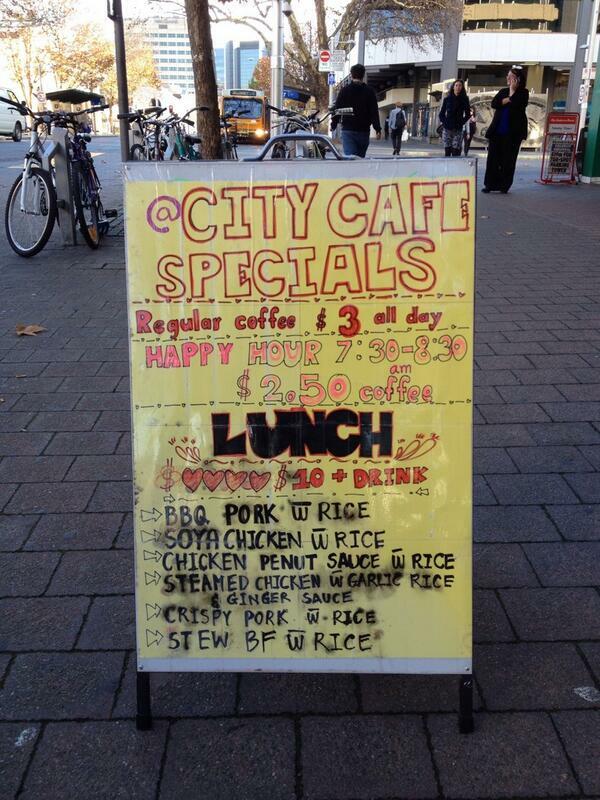 Although the price of their lunch specials is “cheap” the quality is far better than one would expect for a $9 meal. 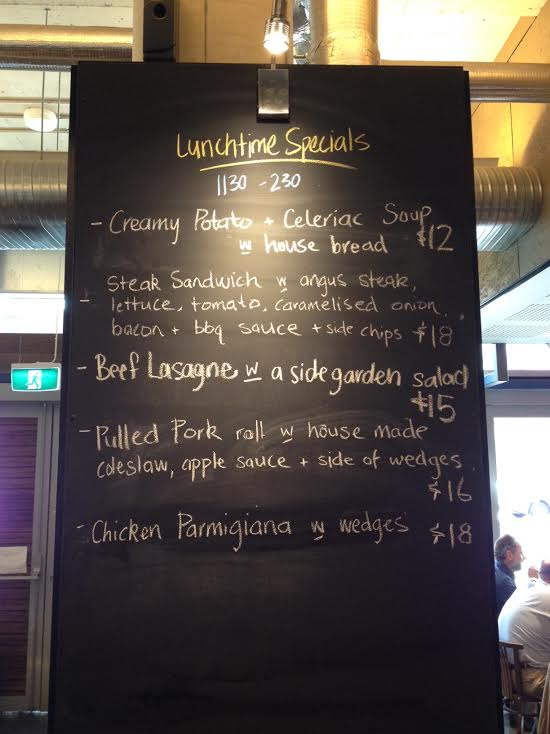 Here’s the menu for the lunch specials, which only run Wednesday to Friday. There are other specials that run during different days and times of the week. On my first trip I did ask for the braised osso bucco as recommended by my friend Eileen (@TheFoodAvenue) however I had arrived a bit late in the lunch period and they had sold out. Instead I ordered the char-grilled calamari, and I was not disappointed! 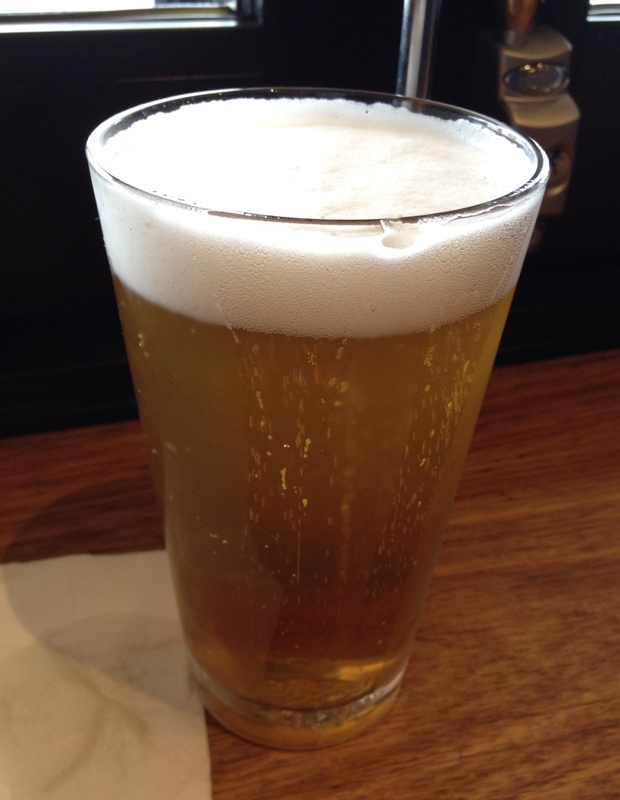 You probably noticed a near-empty beer glass in the picture above? boy was I thirsty that day 🙂 Yes, along with the $9 lunch special there is a $3 drink special and it includes some very tasty craft beers. Can you tell from the picture below which one I chose? 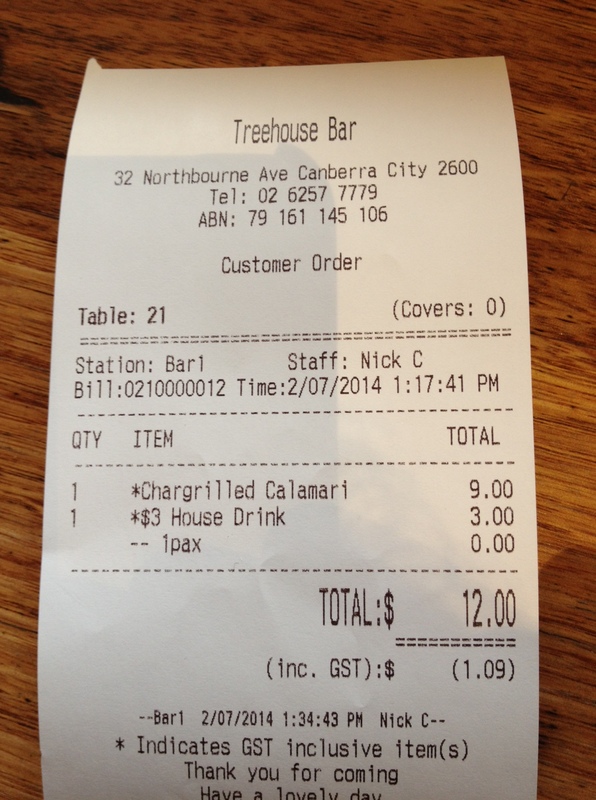 The $9 lunch and $3 beer are pretty hard to beat in value. 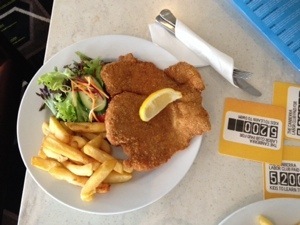 The service is great and at only $12 there is still change left over from $15 for a nice coffee after your meal as well. This place is great! The good news is that although there aren’t many tables at Treehouse it was possible to book a ‘space’ upstairs for a small group where they will move some small tables and stools together. 6-8 people is about the limit though. But with great food, drink and the right company it’s always possible to have a great time. 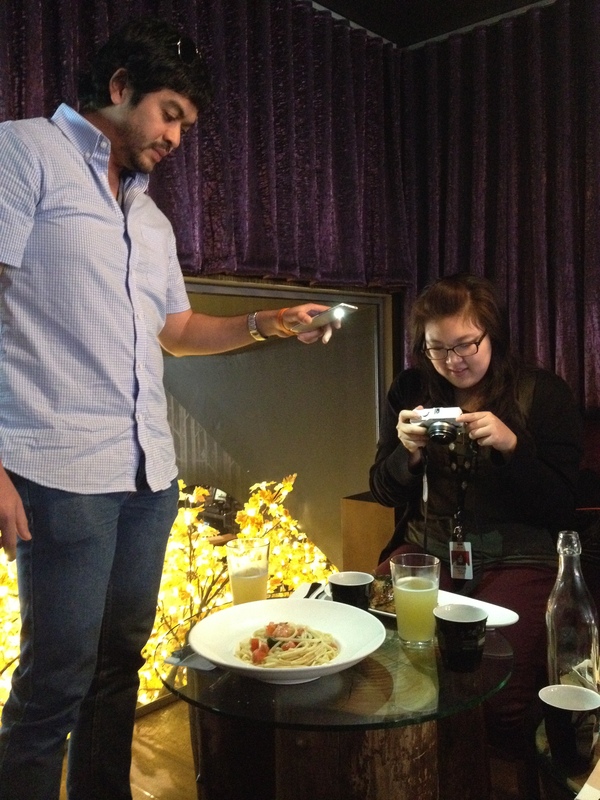 And when you have lunch with other foodies you know you will spend at least some of that time taking photos and discussing food! 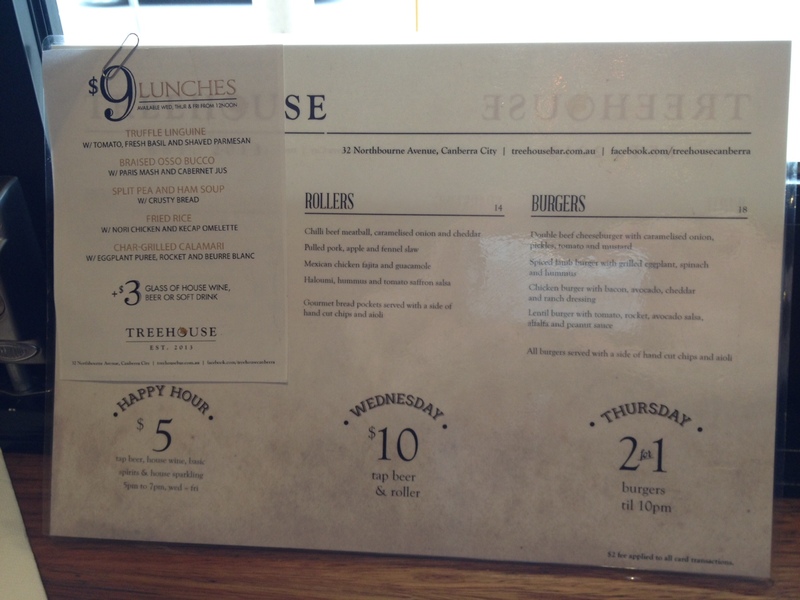 Treehouse gets three #Canberra Beanies ! 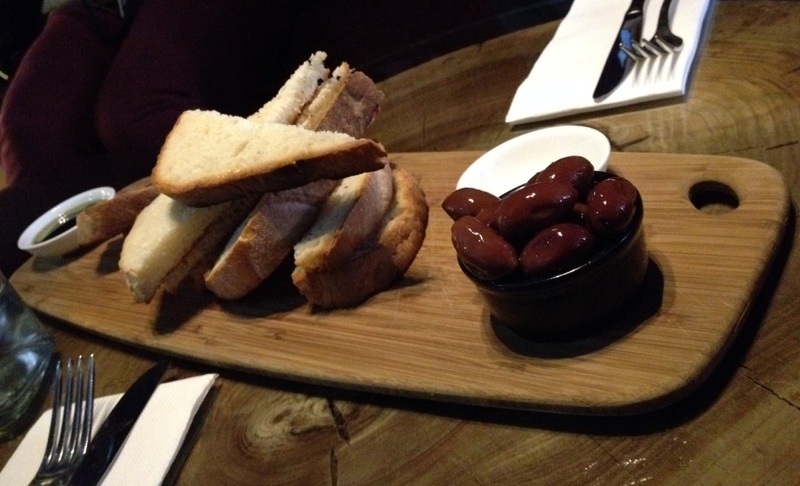 This entry was posted in 3 #Canberra Beanies, Current Top Ten - highly recommended and tagged bucco, calamari, Canberra, CBR, food, fried rice, lunch, northbourne, osso, specials, treehouse, truffle pasta. 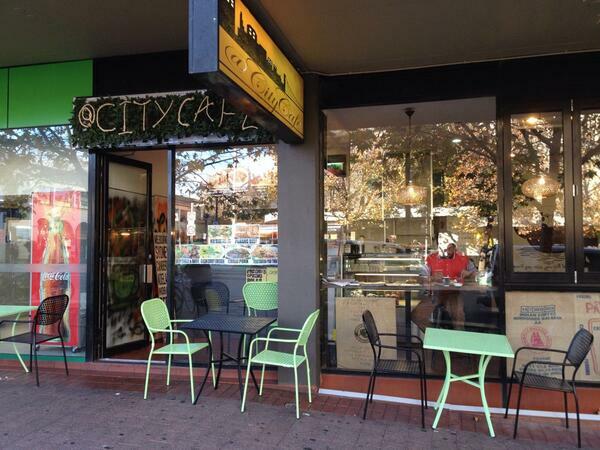 Located just a few metres from King O’Malleys (near Mort Street on City Walk)@CityCafe is one of the many hidden Asian gems that are dotted all over the ACT. It isn’t glamorous, and it isn’t pretending to be something its not. It’s fresh, authentic and healthy home-style Thai cooking that’s served quickly and politely to Canberra City’s working men and women. This restaurant’s façade is unpretentious. In fact the whole place is unpretentious. I was greeted with a smile and ordered 2 curries and rice over the front counter. 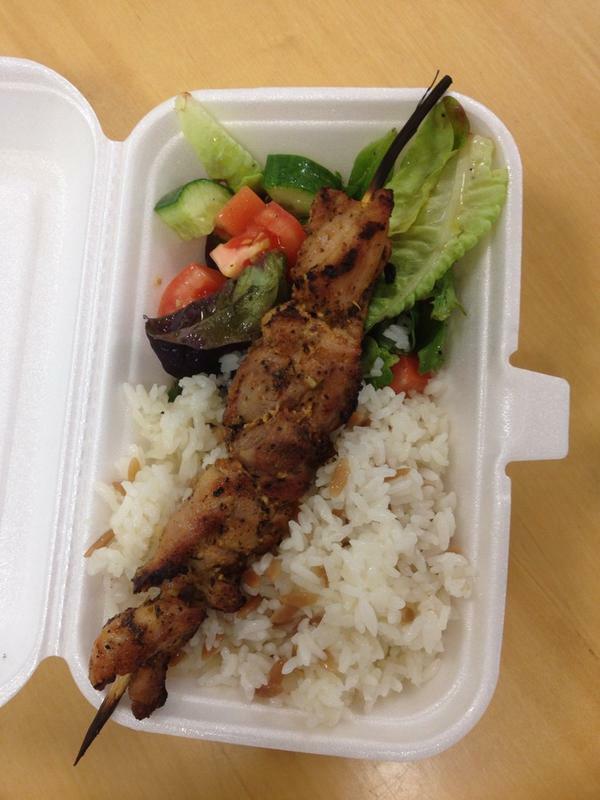 The $10 lunchtime deal includes a free can of soft-drink. If you’re lucky you can grab a seat at the bar facing the large windows and watch the parade of interesting people walk past you while you eat. It’s just across the way from maccas, so there are a lot of interesting people to observe. 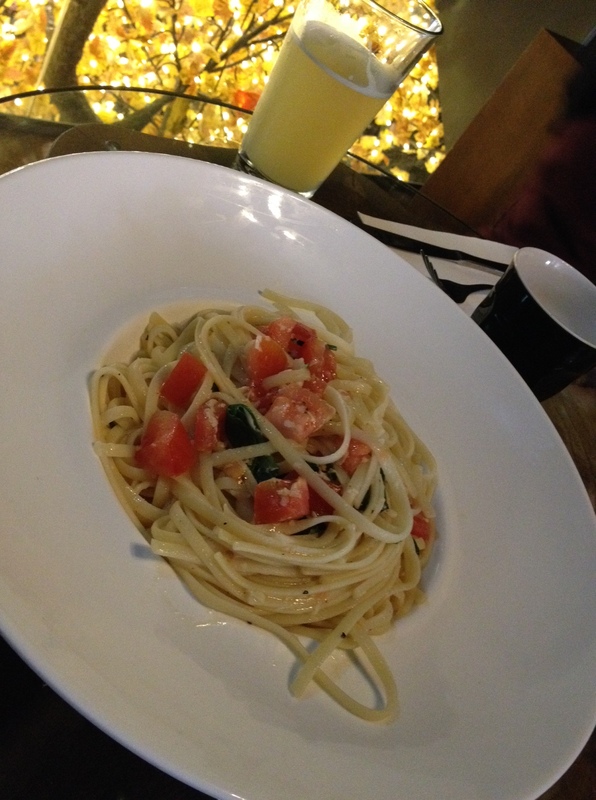 The food was served quickly and the portions were generous. I chose a chilli pork and green curry chicken and was not disappointed. It tasted great. 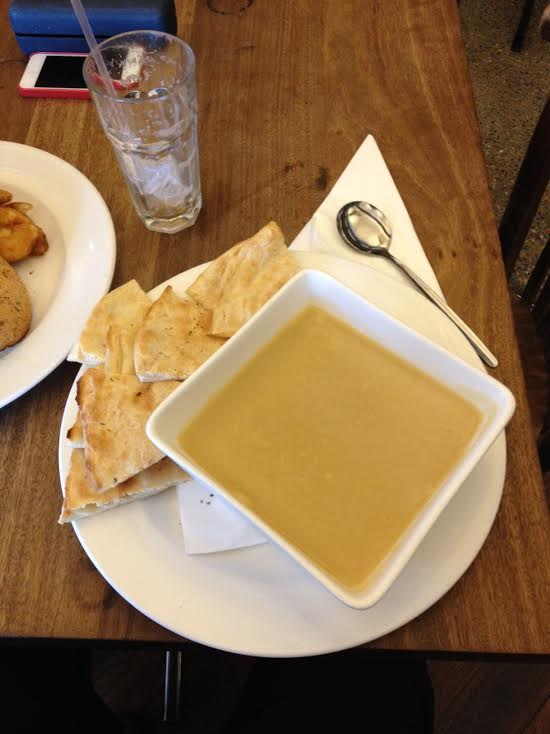 I’ve been here a few times before for soup as well and can highly recommend it and will definitely be back. 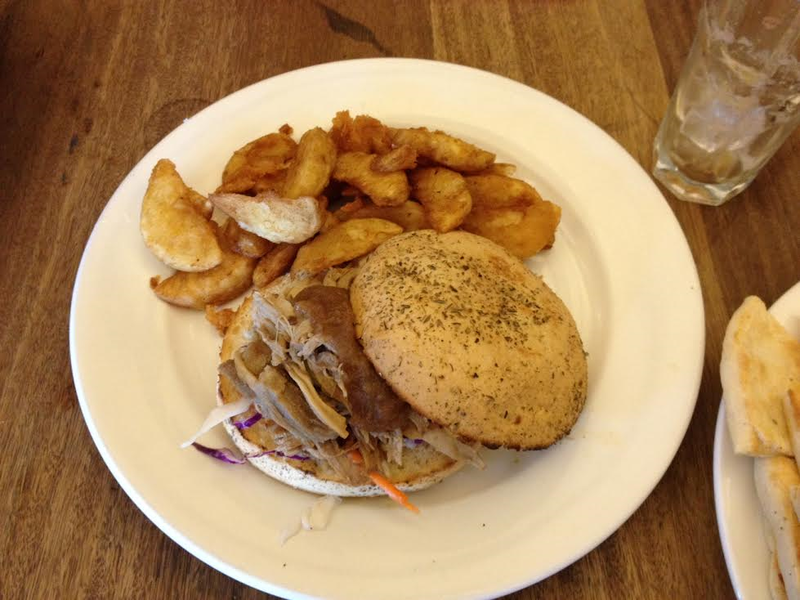 @CityCafe score Three #Canberra Beanies! @CityCafe doesn’t seem to be on Urban Spoon, so now I have to drop by again in the next few days to grab their phone number (one of the requirements of adding a new entry to Urban Spoon). But I’ll try and add it soon! OK, their phone number is 0401 029 869. 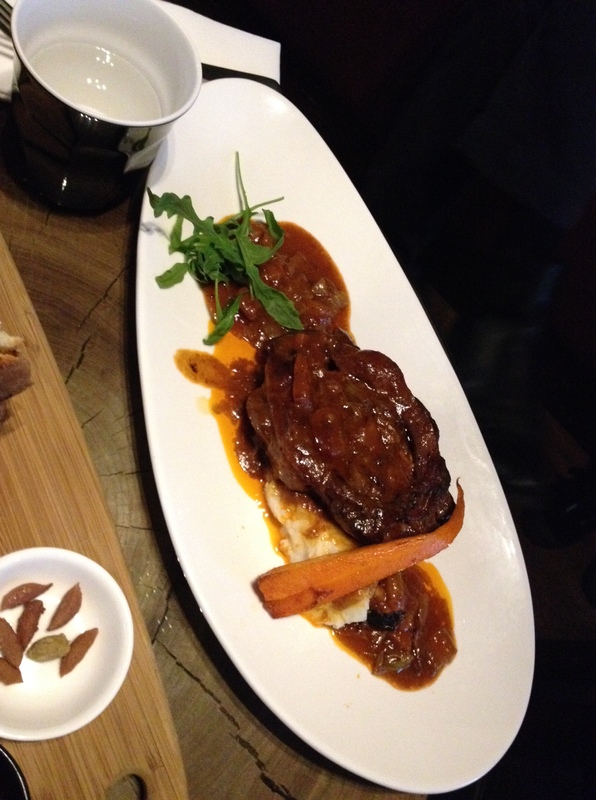 I spoke with the delightful Evey at the restaurant and have applied to have it added to Urban Spoon. 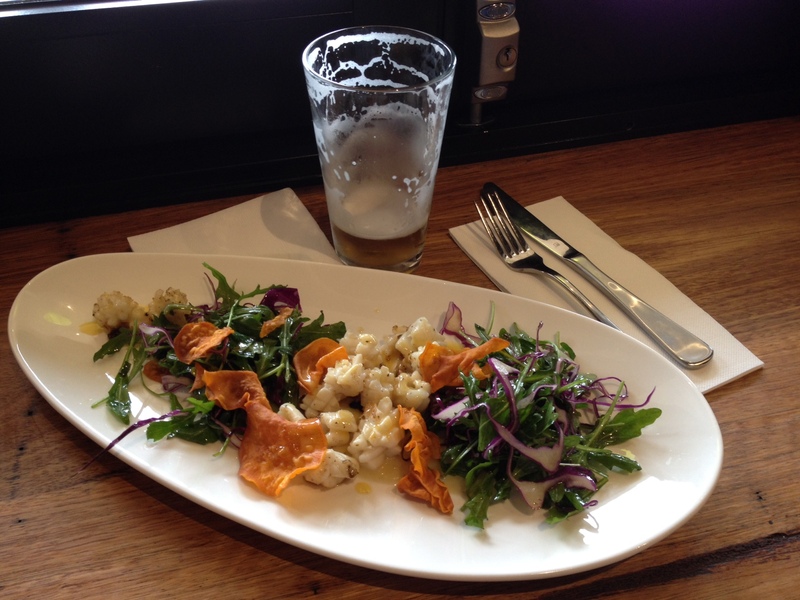 This entry was posted in 3 #Canberra Beanies, Current Top Ten - highly recommended and tagged @citycafe, asian, Canberra, CBR, civic, curries, curry, garema, lunch. 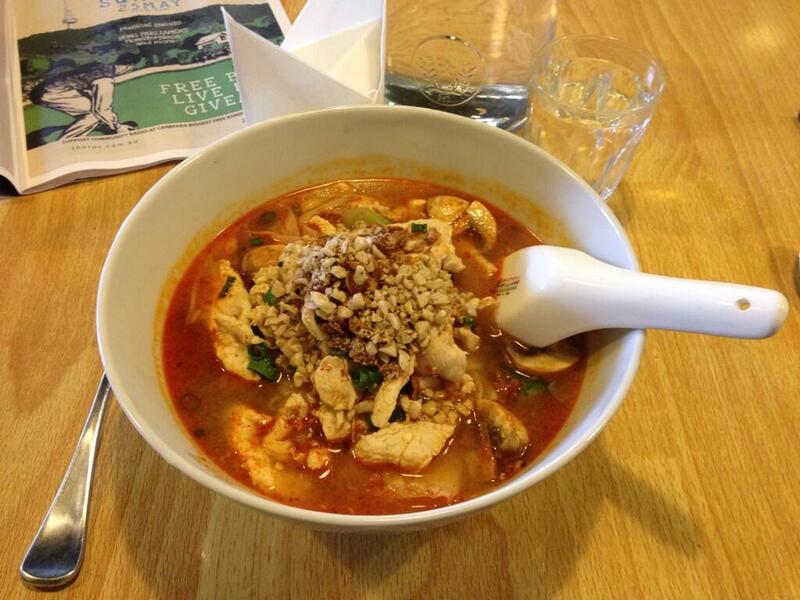 Today I had a delicious Tom Yum style chicken noodle soup at a Thai Restaurant on London circuit called Zen Yai. It’s located between East Row and Verity lane and after eating there today I’m very surprised its not packed out every day. The large bowl of noodle soup was delicious! The photo below shows that there was lots of chicken and a generous topping of onions and nuts. The soup was divine and very filling. in fact I’ll happily say this was the BEST Tom Yum chicken I’ve had in a long time. 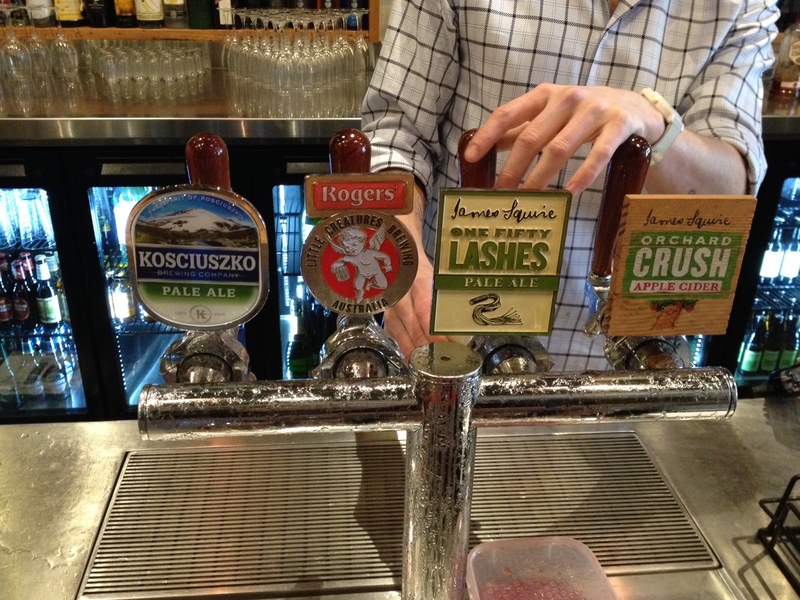 I can’t wait to go back and try the prawn version. 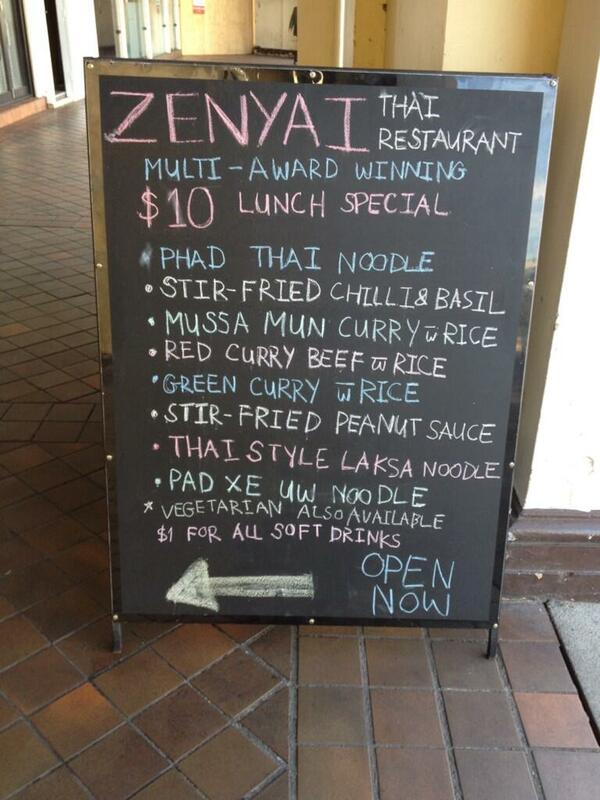 You can see from the A-frame specials board outside that there are lots of delicious $10 lunch options to choose at ZenYai Thai Grill Noodle Cuisine. As the printed lunch menu also reveals, there are a few dishes to choose from, but I’ve got my eyes (and stomach) set on the prawn Tom Yum on my next visit! 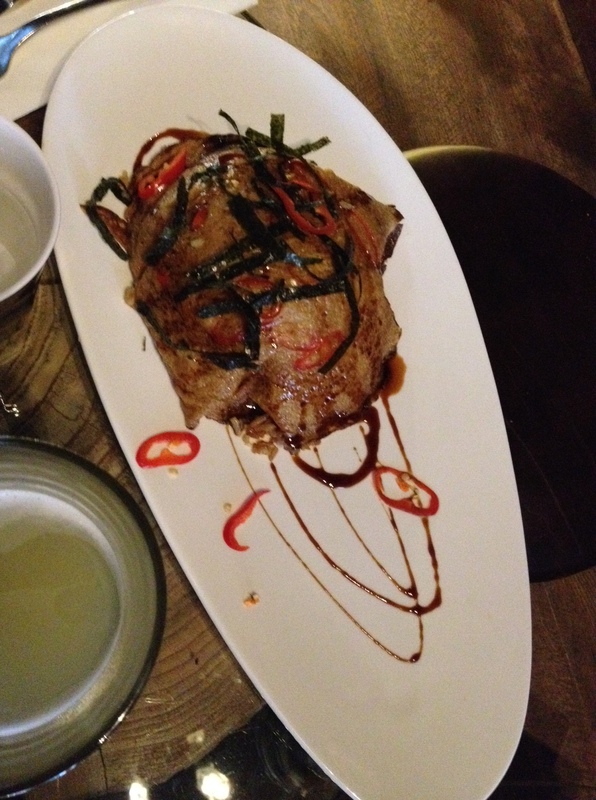 Zen Yai is highly recommended and deserves Three #Canberra Beanies! 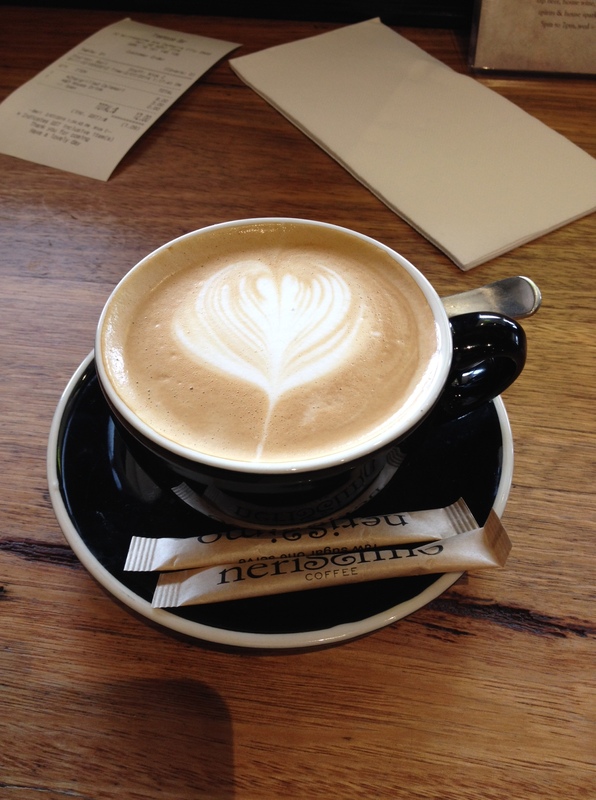 This entry was posted in 3 #Canberra Beanies, Current Top Ten - highly recommended and tagged Canberra, CBR, cheap, cuisine, food, lunch, restaurant, thai, Tom, yai, Yum, zen. 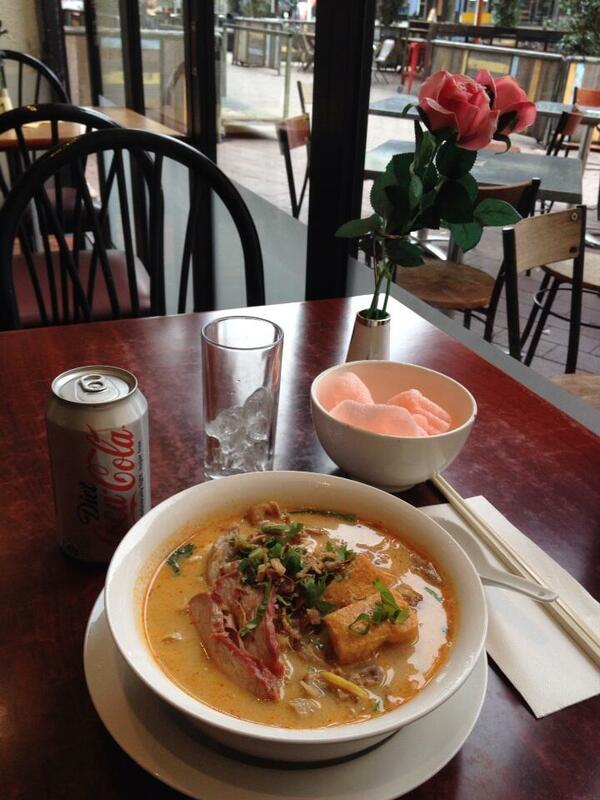 Enjoyed a delicious spicy $10 Combination Laksa at the Noodle Cafe for late lunch in #Canberra today. This place is highly recommended. I recently rediscovered it after a recommendation from Eileen (@TheFoodAvenue). What’s hard to believe is the friendly and quick service one receives for the $10 lunch specials (complimentary prawn crackers, cup with ice for your drink, table service). Cans of drink are $2.50. Despite the fact that I’ve blogged about this place already and awarded it two #Canberra Beanies already, I think I’ll be back on a regular basis and slowly work my way through their specials menu! 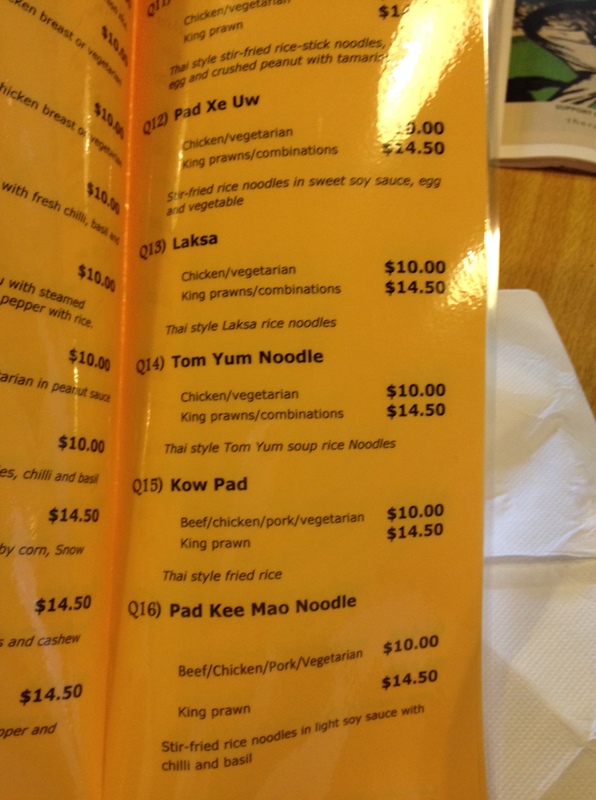 This entry was posted in 3 #Canberra Beanies, Current Top Ten - highly recommended, news and tidbits, Recommended by others and tagged affordable, cafe, Canberra, CBR, chinese, food, garema, noodle, place.